The big fire on the famous Notre Dame Cathedral de Paris on April 15, 2019 caused a serious damage on the roof and some internal buildings have also been affected. The fire is a warning for fire protection on historical relics and the Forbidden City has set a comprehensive mechanism for fire safety. Join our authentic Small Group packages 2019/2020 and savor the true essence of real China at an extremely competitive price. What to see in China for first time travelers? 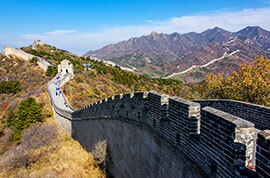 China is a vast land with abundant tourism resources. For first time travelers, the top travel destinations of Beijing, Xian, Guilin, Shanghai and the Yangtze Cruise are recommended. 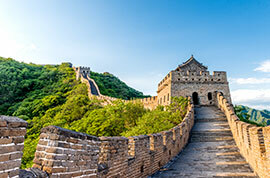 As ancient capitals, both Beijing and Xian boast fantastic cultural and historic relics, such as the Great Wall, the Forbidden City and the Terracotta Warriors. Guilin is well known for its superb natural beauty, with Li River flowing through an amazing landscape resembling a scroll-painting. 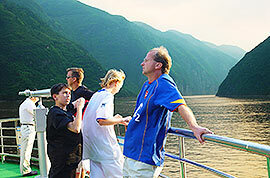 A relaxing cruise on the Yangtze River allows people to immerse themselves in the wonder of the natural surroundings. 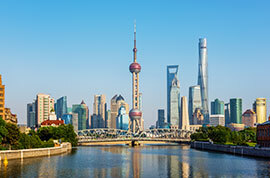 Shanghai, an international metropolis, best shows the country's pulsating modern development as well as its olden-day charms. In the light of the above, you can combine visits to these cities as you wish to create your China holiday tours. If you wish to go further on your second trip, you may consider visiting some regions with distinctive features. 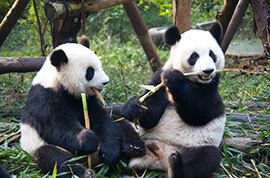 For panda lovers, Chengdu will satisfy your desire to observe these cute creatures in their natural habitat. In addition, it provides easy access to the magical Jiuzhaigou. Tibet is a good option for those who are interested in learning about Tibetan Buddhism and seeking out the mystery of this unique land. Cities in southwestern region like Kunming, Dali, Lijiang, Shangri-la, Guiyang, Kaili, and Zhaoxing are also popular for their rich ethnic minorities' folklore and customs. 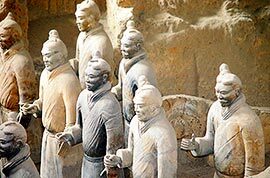 If you are curious about the Silk Road culture, you can visit Dunhuang, Turpan, Urumqi, Kashgar and more cities depending on your trip duration. 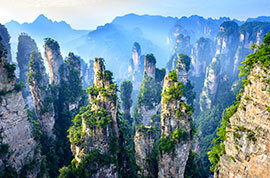 For those who like mountain sceneries, Zhangjiajie and Mt. Huangshan are indeed visual delights. The above mentioned are only partial lists, our travel consultants are ready here to customize a private China tour package to meet your needs. How many days are needed for a China land tour? It mainly depends on the destinations of your trip. For a single city vacation package, three to four days are required. If you want to visit two to three cities, basically one week is needed. 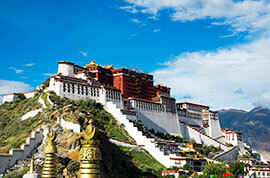 A 12-day to two weeks China vacation package usually would cover four to five cities. Once you decide on your destinations, we can help you work out a realistic duration. China is a vast country with wide-ranging climatic conditions, so a decision about the best time to visit should be based on the regions you plan to visit and the kind of weather you enjoy. Generally speaking, late March to May in spring, September and October in autumn are the best months to visit most of the cities. Try to avoid travelling during the National Day Holiday from Oct 1st to Oct 7th as all sightseeing spots are very crowded. For visitors who want to save money and enjoy sightseeing without interference by tourist crowds, you can plan your private China tours in the winter season from December to February. How much would a trip to China cost? The prices will range widely depending on the destinations, durations and your demands for comfort. 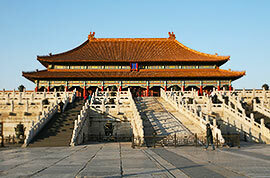 Let's take one of the most popular itineraries as an example, 8 days Beijing, Xian and Shanghai. It will cost about USD1400 per person on the basis of a private China land tour for two people with 4-star accommodation and domestic flights in between. 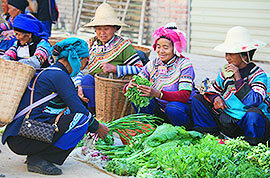 If you join in a small group tour with the similar itinerary, the trip usually costs about USD999 per person. For travelers who start your 2019/2020 China tours from USA, Canada, UK, Australia, Germany, Spain, France, etc, international flights are not included. Many travelers also take the high speed trains instead of flights to save the cost and enhance the travel experience, which has been proved to be an awesome choice. No matter how much you want to spend on a trip, as the best China tour company we are always happy to tailor make a private tour itinerary that best fits your needs. In addition, our early bird discount can also help you save more. We both had a very enjoyable trip. We had many new and good experiences and our guides and drivers were very good and all was in order. We would certainly use their services again. We are really grateful for the wonderful trip Abbey planned for us. We loved every part of it and must compliment Abbey on her wonderful organisation, excellent guides and drivers and how smoothly everything went. We have recommended this organisation to anyone who has expressed interest in a trip to China. Very helpful with all my questions. We had a fabulous time overall!!! 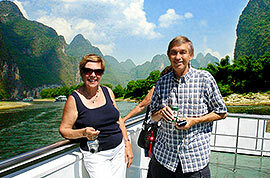 The arrangements China Guide Tours for the air flights and the Yangtze Cruise were excellent. The cruise was very nice and the service, food, excursions were well planned out. The efforts of the crew to make us welcome and make our trip enjoyable and comfortable was extraordinary. We were given bottles of purified water every day and entertained at night over an excellent meal prepared by the Chefs' on board. My wife and I just got back from Hong Kong last night. Thanks for Selina’s arrangement. On the whole we have no complaints about the food that we have had. We particularly enjoy the breakfast provided at Four Points Sheraton Hotel in Lhasa. They provided ample choices for us. Generally, we believe that the standard of food provided for our trip in China had lifted the level. As far as we were concerned, we considered the food was satisfactory. All the guides provided were satisfactory. They spoke fairly good English and have good knowledge about the places that we visited. Also our drivers were with good skills even in complicated traffic situations. Over all, our experience was excellent. Everything worked as we had anticipated, flights on time and guides very good. Our visit to Inner Mongolia went equally well. So, please take these comment on potential improvement with these thoughts in mind. 1. As we discussed, please be sure those coming clearly understand all aspects of final payment - how much and how. 2. The food was great, but too much. It is not our desire or yours Im sure, to waste food. Over all, I doubt if we eat one half what we were served. We felt fortunate to have such attentive and knowledgeable guides for our trip. We found them all very informative. Especially so for the various sights of Beijing and Xi’an where there is so much historical and architectural information and detail to impart. The cars and minivans that we encountered were very comfortable and all kept beautifully clean. The drivers were very helpful with loading our luggage and opening doors for us. Whilst all our guides; Kitty in Beijing, Celine in Xi’an, Monica in Guilin, and Jimmy in Shanghai were excellent, I think Celine in Xi’an was outstanding. 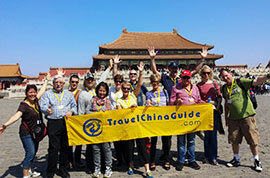 We loved our experience with Travel China Guide and Selina our travel consulate was awesome. We found out about this company just by google search and read some reviews in TripAdvisor. At first we were skeptical, we filled out the inquiry form in their website and didn’t hope for any response. We were surprised when Selina emailed us the detail plan with cost based on our inquiry. We were impressed and continued to communicate with her to tailor make our trip. We had more than 20 emails to and back detailing things we wanted to do and stay within our set budget. Selina was patient and answered all my questions and suggested things we could change to meet our budget at the same time not compromised on our experience. We were able to find perfect balance because of Selina knowledge and experience in planning tours. We ended up booking private tour with no shopping stops and 4star hotels with travel within cities in trains! Once we had everything set, our flights to China was delayed by 2 two days. During this time Selina was in constant contact with us and helped reroute our travel itinerary. She also was able to push back our airport pick up agreement. Without her as back support to handle things for us, we would be lost and it would have made bad situation even worst. She talked to hotel and was able to get us refund. She also worked with the company to calculate the refund amount for all the activities we didn’t do because of flight delays. We were not expecting this and it was wonderful to get some of it back.